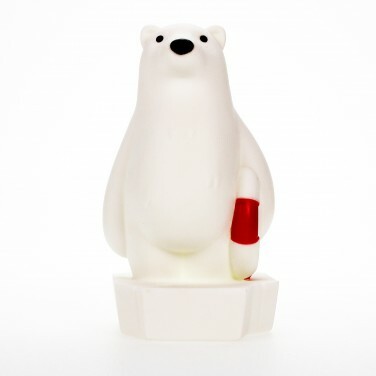 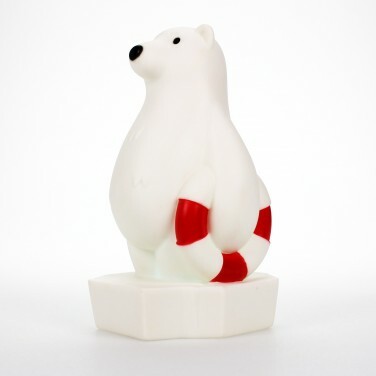 Standing tall on his own piece of ice, this sweet polar bear looks set to dive in with his life saver at the ready! 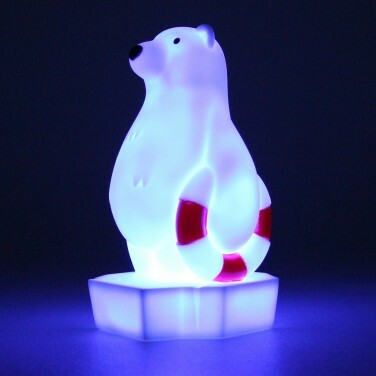 Lit by colour change LEDs, this cute polar bear shines with a gentle light show that helps to settle and soothe little ones at night. 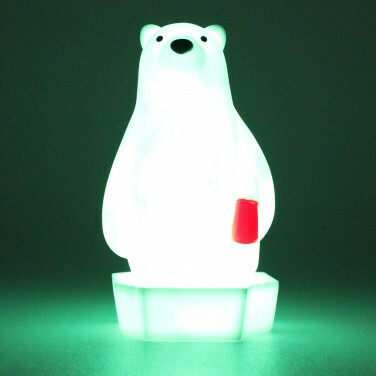 The 15 minute sleep timer allows you to leave this cute light switched on as kids settle down at night leaving long enough for them to drop off to sleep without draining batteries, and because it's lit with LEDs it remains cool to the touch making it safe for little ones to handle.